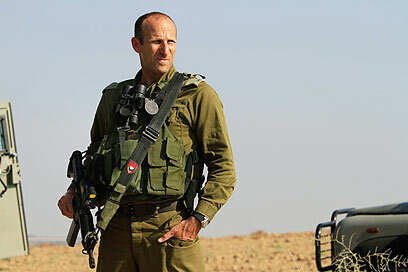 In another two months, Brig.-Gen. Eyal Eisenberg, 46, will have served as commander of the IDF's Gaza Division for two years, and thus will finish his time in office. This week, he divided his time between a northern regiment exercise that dealt with one of the scenarios involving a serious incident along the border fence, and planning the next campaign with paratrooper forces. The next battle, Eisenberg estimates, will be more difficult and more powerful than its predecessor: "We have the capability to deal a serious blow to Hamas. We have many tools, and they are all legitimate, even targeting senior officials. And we should not hesitate to use these tools," he said. Recently, the IDF has taken note of no small number of attempts made by terrorist organizations to carry out significant attacks against soldiers with an emphasis on capture. Brig.-Gen. Eisenberg discovered that a number of smuggling tunnels in the process of being built were intended to serve as infrastructure for kidnappings. "It is forbidden for anyone to fall asleep on the watch," he warned. "We must continue being alert because there is no doubt that there will be another clash here. It is difficult to predict when exactly or under what circumstances, but it will happen." Eisenberg also presented a surprising thesis regarding the Iron Dome defensive missile shield system, saying that "it means we are prepared to receive fire." For Eisenberg, and he is not alone in this, the current period during the peace talks between Israel and the Palestinians is considered particularly sensitive. As Chief of Staff Gabi Ashkenazi predicted this week, it is not out of the question that the relative quiet will be dramatically breached on the backdrop of the talks. 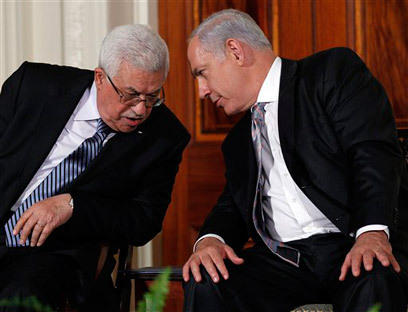 "As the talks progress and Hamas feels like it is being left out, it will likely affect the organizations operations. As the process advances, we are likely to witness an increasingly persistent rise in the extent of terrorist operations. Hamas has not turned into a lover of Zion and does not recognize the State of Israel. I suggest that they test us on this field because we have less performance constraints there than in other areas, and we will not hesitate to use the many tools in our possession," said Eisenberg. If Hamas and Israel do engage in another round of bloodshed, it will be a "more painful, complex, and powerful round, with attempts made by the other side to carry out increased firing attacks on the home front; there will be casualties, but we are prepared very well for such a scenario," said Brig.-Gen. Eisenberg. Nearly two years after Operation Cast Lead, the division commander admitted that the objective of the defensive of achieving a new security reality in the area was attained, but the calm is fragile. "We must not accept any violation of the calm in Gaza, and we must take powerful action when this happens. From our perspective, there is one address in Gaza, and that is Hamas. I am not interested in who actually fired the mortar shell. Hamas has already proven in the past that it can prevent such events. Therefore, they are the address. When there is a violation, we send them the message by striking targets," he said. Hamas, said the Gaza Division commander, has rehabilitated its capabilities since Cast Lead and continues to obtain weapons, train, and receive aid from Iran and Hezbollah. If another confrontation breaks out, cities in centeral Israel are also liable to be hit: "It is no secret that Hamas is working hard on its capabilities to reach the Tel Aviv metropolitan area. We will not come to terms with such a situation," he said. 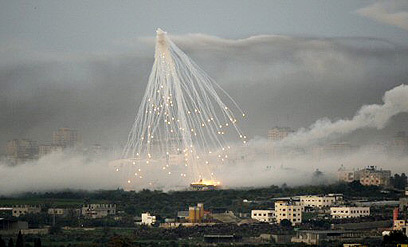 Thirty terrorists killed, about 100 incidents along the border fence, 60 locations where explosives were planted, and about 350 rockets fired – this is the summary thus far of 2010 in the Gaza Strip. "There are those who will think that these numbers are high, but in reality, this is a tenth of what we had before Cast Lead," said Eisenberg. "However, we are still at war here. Call it the 'war of independence 2010,' a war in which we are prepared to sacrifice what is most dear to us." The IDF is also deployed from a defensive perspective. On this matter, Eisenberg is surprisingly nonchalant about the deployment of the Iron Dome missile defense system, saying "Deploying the system means that we are willing to receive fire. I think that we don't need to get to a situation like this at all, but instead to take action to prevent it to begin with." Two difficult incidents along the border fence ended this year with a painful outcome. In March, Armored Corps soldier, Staff-Sgt. Gavriel Chepitch was killed by friendly fire after he became the commander of a raid and was shot by Golani soldiers who mistook the soldiers for terrorists. "Chepitch is a hero in my eyes," said Eisenberg. A week after this incident, Maj. Eliraz Peretz and Staff-Sgt. Ilan Sviatkovsky were killed. "There were a few elements that led to the harsh outcome. We learned some lessons, including an effort to place a new kind of grenade in the vest that decreases the likelihood of injury to the soldier," concluded Eisenberg. Brig.-Gen. Eyal Eisenberg commanded an elite division in the Second Lebanon War, and was the only one of the senior commanders of the 2006 war to be promoted to such a central position. Today, he is a candidate for joining the IDF General Staff and being granted the rank of major general. Eisenberg is cautious regarding anything related to appointments, despite assessments hedging he will retire from the IDF if he is not promoted. He believes that his rich operational experience, knowledge, will serve as proof that he is worthy of promotion. "When I enlisted, I didn't think I would be a senior commander. I wanted to study product engineering. I had no small number of misgivings along the way. I continued year after year because I understood that I can contribute to the system," he explained. Regarding appointments, one cannot help but speak about the Galant scandal that shadowed over the IDF elite: "One would be pressed to say that the matter did the IDF any good. I told my commanders that our performance must not be damaged because of this issue. I also saw that Galant, who was surely bothered by the story, did not veer for one minute from his role, from what we are doing here in front of the Strip. Civilian security was not damaged because of this affair." Follow Operation Cast Lead, Eisenberg was reprimanded in a disciplinary action for straying from protocol during an incident in which artillery fire was opened and caused injuries. "I'm not hurt by that action. There are military orders from which I strayed. I was the first to admit it. I think that the law must be applied to its fullest. It is inconceivable that whoever sends soldiers on an operation doesn't act as an example by not shouldering the results of his actions." He is aware that he received only a symbolic punishment, but notes that "the very essence of the process is not an experience that I enjoyed, and that is part of the punishment." Eisenberg does not believe that criticism of the IDF abroad should cause soldiers to hold back during operations. "We need to act with professional bravery, and not out of any kind of apprehensions," he said. Eisenberg has refrained from leaving Israel, save for a small trip following Cast Lead. However, he is planning a vacation in Europe when he leaves his post. "I am not worried," he responded when asked about the possibility that he could be arrested or could find himself embroiled in a legal battle. "I was sent by my country on an important mission. I did not commit a crime, and didn't not do anything wrong," he concluded. See all talkbacks "Outgoing Gaza Division commander: Next war will be harsh"